The following former students of Bemrose paid the ultimate price in order to secure the values that we hold today. Click the link below to see a list of our former students or click on individual names to view their page. Killed in action when hit by an unexploded bomb on HMS Argonaut in San Carlos water, Falkland Islands on 21/05/82. Ian’s widow Margaret has visited the school on a number of occasions. Killed in action, Normandy 05/08/44. 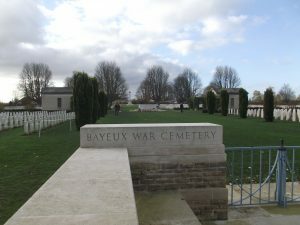 Buried in Bayeux War Cemetery. Fatally injured on Boxing Day 1941 whilst training to be a pilot. Missing in operation off Frisian Islands 25/10/41. Later presumed killed. Royal Navy Able Seaman reported missing 12/10/40. Presumed killed 14/09/44. 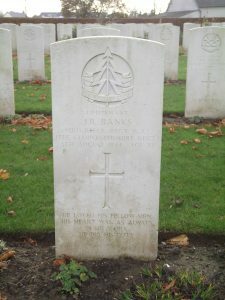 Sergeant Pilot killed on active service 21/03/41. For detailed information click here. Trooper, 143rd Royal Armoured Corps. Drowned in River Trent whilst taking part in a military exercise. Killed on duty as a dispatch rider. Sergeant Pilot killed whilst returning to base after a night time bombing attack over Syria 07/07/41. Sergeant Pilot, 424 Squadron RAF. Killed in crash landing 02/05/43. Buried at Melbourne Cemetery. Trooper in the 2nd Battalion Royal Tank Regiment. Killed in action, Middle East 21/11/41. Killed in flying accident in Cromerty, Scotland 28/06/45. Flight Lieutenant RAFVR Rhodesian Air Force. Killed Duisburg 23/12/43. Sergeant Pilot RAF, killed in action when Halifax bomber crashed 31/03/42. Sergeant RAF, killed in action. Sub Lieutenant (Fleet Air Arm), HMS Illustrious, killed in flying accident 19/11/43. Flight Lieutenant (Pilot Officer) RAFVR, Lancaster Bomber Squadron. Killed as member of Pathfinder Force in operations over Nuremberg, Germany 31/03/44. Flight Sergeant 609 squadron Royal Air Force, shot down in the Battle of Britain 07/10/40. Chief Petty Officer, Engine Room Artificer, Royal Navy HMS Egret. Died on service 14/07/44. Lived at 28 Buxton Road, Chaddesden. Flight Sergent RAF (Pathfinder), shot down in Halifax bomber over Dusseldorf 25/05/43. Sergeant Rear Gunner RAF. 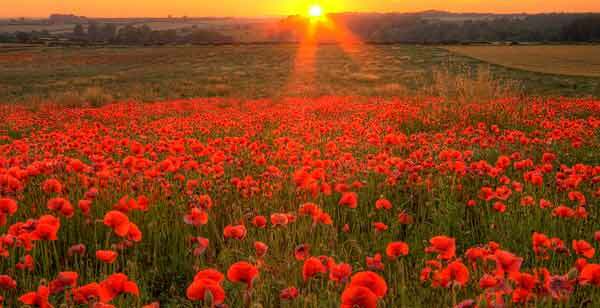 Died 21/10/41 Suez. Sergeant Pilot RAFVR, killed in crash landing 14/01/42. Flying Officer Navigator, RAFVR. Crashed at sea 06/03/44. Squadron Leader, RAFVR, nicknamed “Sticky”. Killed in action in Brindisi, Italy 08/05/44. RAF, Prisoner of war, died in Japan 22/06/45. Japan surrendered 02/09/45. Squadron Leader commanding 609 Squadron. Accounted for nine enemy planes around the South Coast of Britain. Lance Corporal, RAMC. Killed by enemy action in Sheffield 13/12/40. Flight Sergeant RAFVR. Missing from operations over Duisburg, Germany 15/10/44. Later presumed killed. Flight Sergeant RAFVR, killed on operational flight over Germany 10/08/42. Sergeant Wireless Operator RAF, killed in France 14/06/40. Telegraphist, Royal Navy. Missing in operations in Mediterranean 29/01/43, later presumed killed. Private, 2nd Battalion Sherwood Foresters. Killed by a vehicle mine in Tel Aviv 01/03/47, aged 18. Attended Bemrose until 1944. Flight Sergeant RAFVR. Missing in operations 15/08/44, later presumed killed. Sergeant, RAFVR. Killed over Luxembourg after raid on Wiesbaden 03/02/45. Flight Lieutenant Royal Air Force. Missing after bomber raid in Germany on 04/04/45. Later presumed killed. Flight Sergeant RAF bomber command. Killed on a night operation training flight at Kirmington, Lincolnshire 08/10/45. War in Europe ended 08/05/45. Buried close to Bemrose at Uttoxeter New Road Cemetery. Sergeant Pilot RAF, missing over Bay of Biscay 22/03/43 whilst on anti-submarine patrol. Sergeant Wireless Operator and Air Gunner, RAF. Killed on first operational flight over Belgium 13/04/42.